At AMAC, we have a team of fully qualified service technicians that can handle repairs & maintenance on all light machinery products & small engine machinery. Anything we sell, we service! Lawn mowers, brush cutters, chain saws, blowers, pressure cleaners, toro mini diggers, zero turn mowers, stump grinders, generators, mini digger attachments, trenchers, borers, ATVs, hedge trimmers, lawn tractors – you name it we service it! PLUS we have an extensive inventory of spare parts for all leading brands. 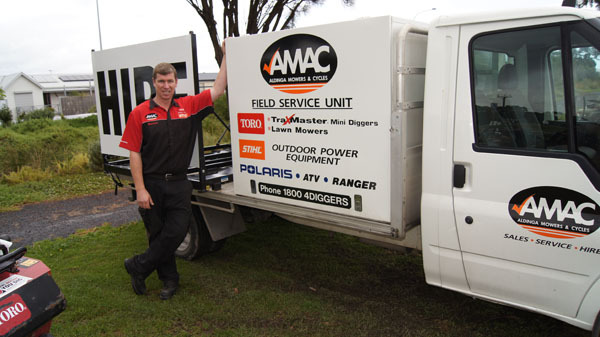 At AMAC, we know that sometimes it’s just too difficult to bring your mini diggers or commercial lawn mowers to our service department in Aldinga South Australia. AMAC’s Service Truck can come to you and service your TORO loaders on location. We find that our customers find this service very convenient, particularly if located in the outer areas of South Australia as it eliminates the need for towing heavy mini diggers or loaders away from their local area to our service department South of Adelaide. Obviously we much prefer top schedule in your mini digger servicing or lawn mower repairs when we’re out on the road in SA. This enables our spare parts department to ensure we have all the necessary replacement parts to get the repair work done effectively. Workshop Turnaround Time will vary depending on seasonal influences & general fluctuation of workload. 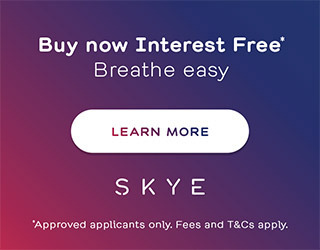 Call the store on (08) 8557 7041 to find out what the expected waiting time is. We may be able to accommodate special needs. Whether it be TORO Mini Diggers – AMAC can service & repair ALL MODELS of Toro mini diggers, anywhere in South Australia. Not only do our spare parts department stock an extensive range of mini digger spare parts & accessories, our technicians are fully qualified and matched with extensive experience in mini digger servicing. Further complementing our mini digger servicing & mini digger spare parts department is our extensive knowledge & experience in servicing mini digger attachments. TORO Mini Digger Attachments are universal in design and as such can be connected to both Kanga Loaders and Dingo Diggers. We can also service & repair augers, grinders, standard & wide buckets, trenchers & leveler bars. If you have a less commonly used mini digger attachment, please feel free to contact us & discuss sourcing spare parts or scheduling repair work. Not only do we stock, sell & hire brand new TORO Mini Digger Attachments, we service & repair them too.